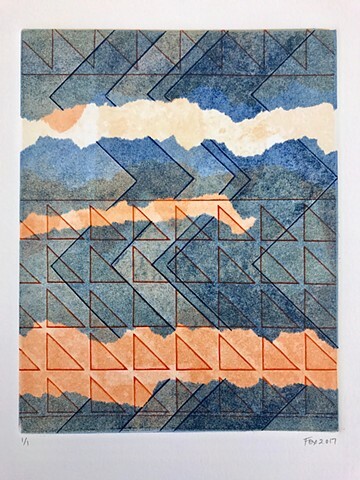 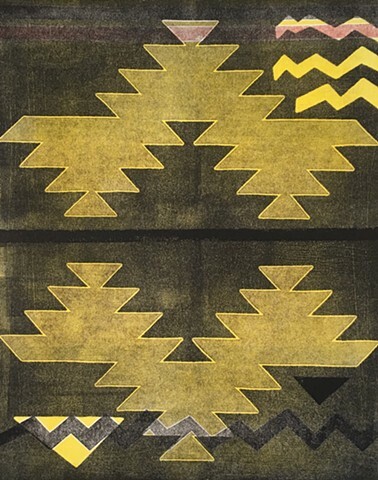 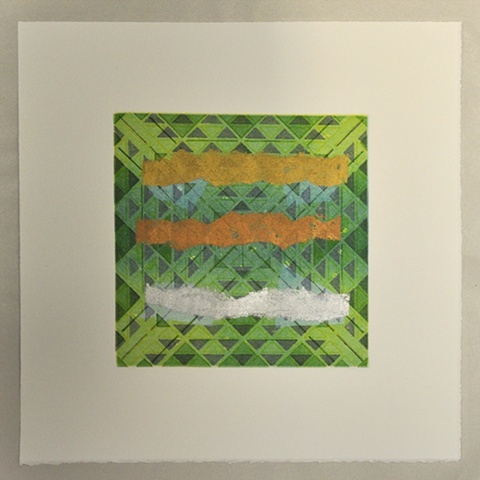 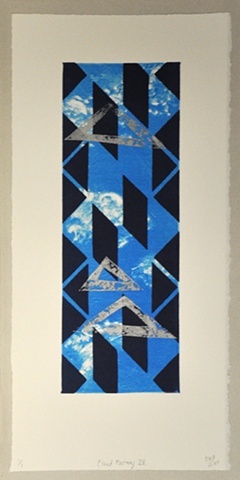 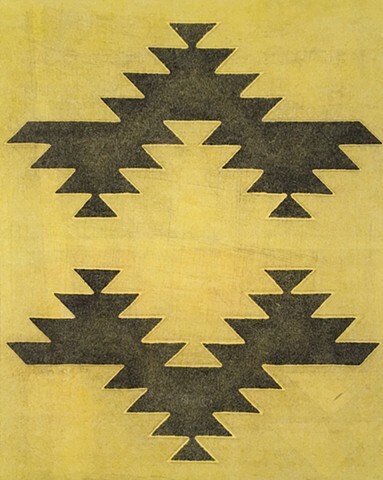 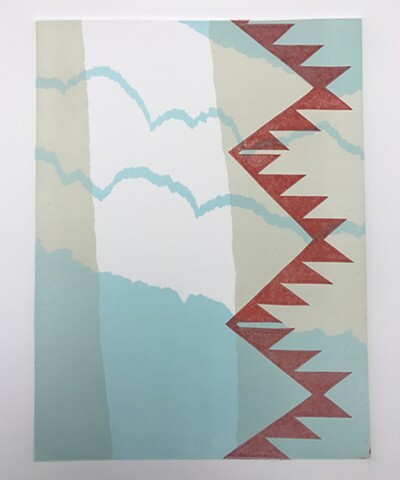 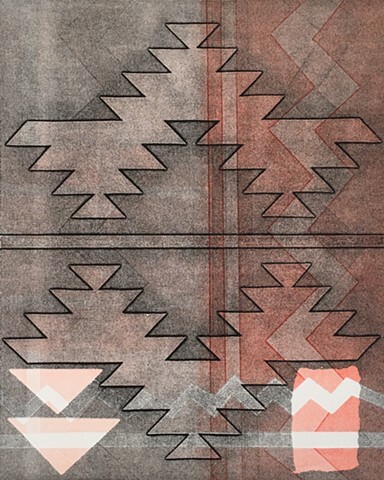 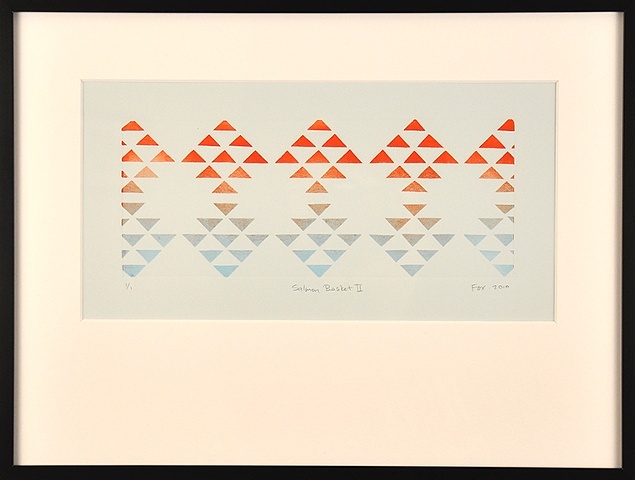 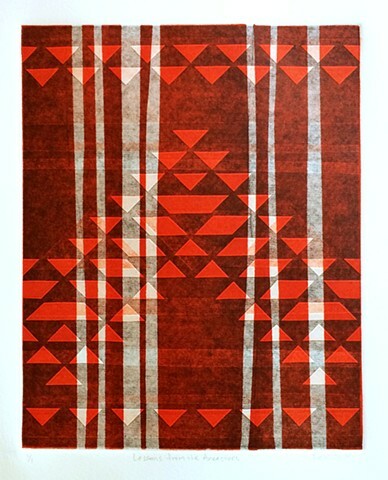 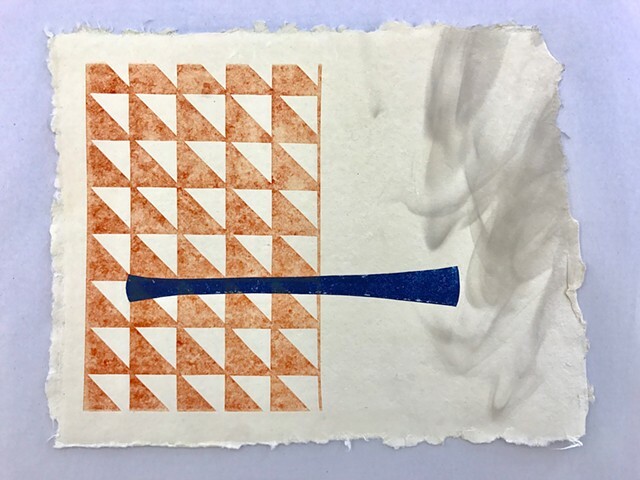 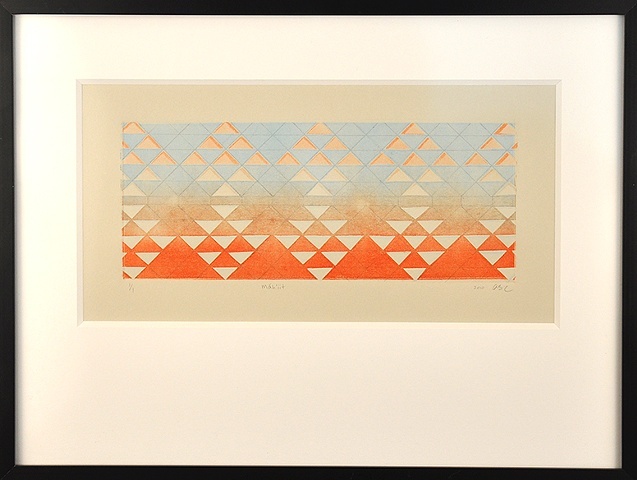 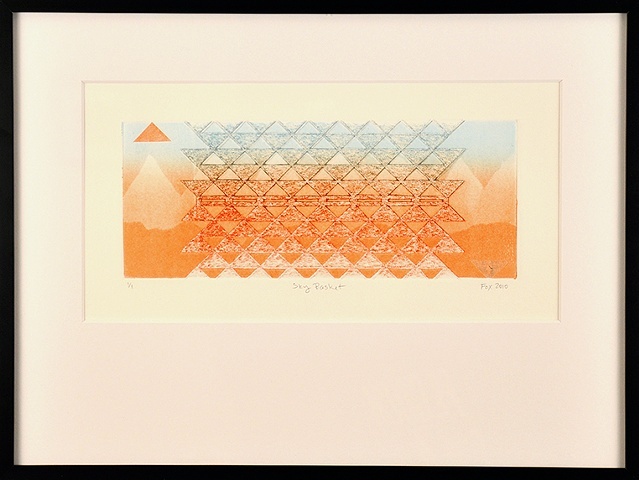 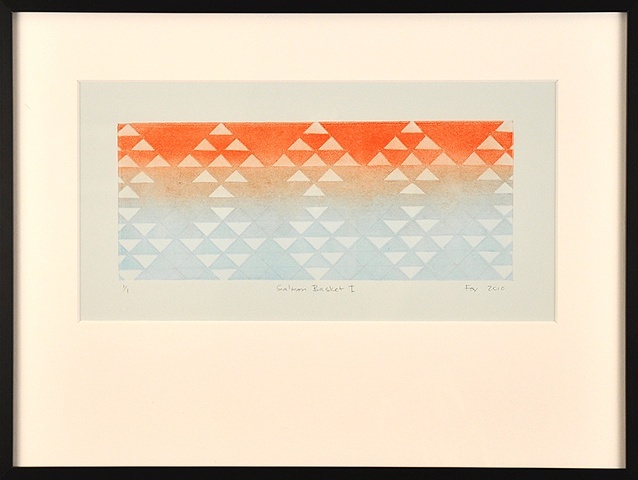 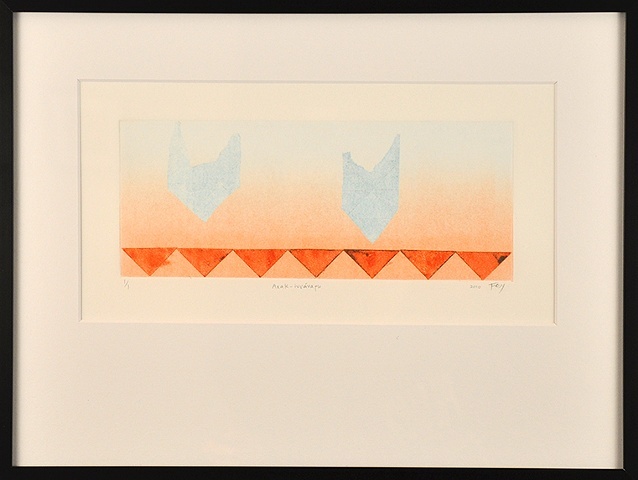 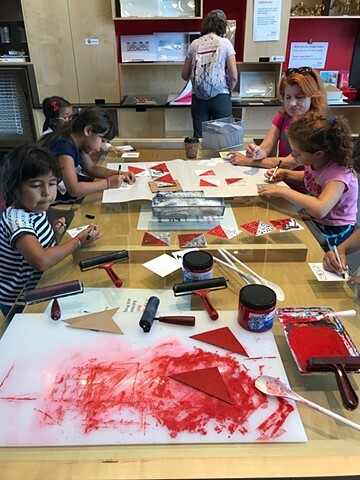 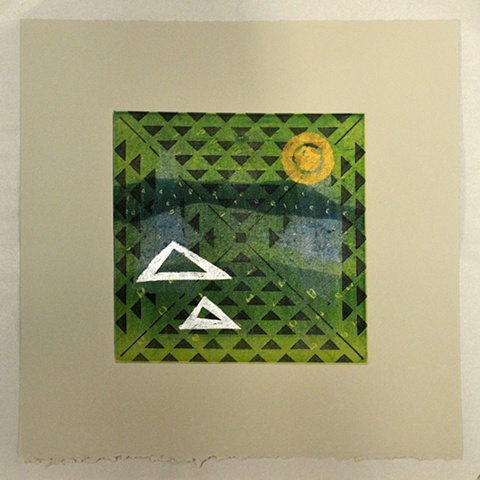 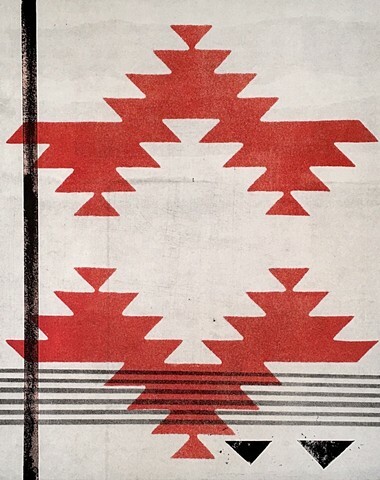 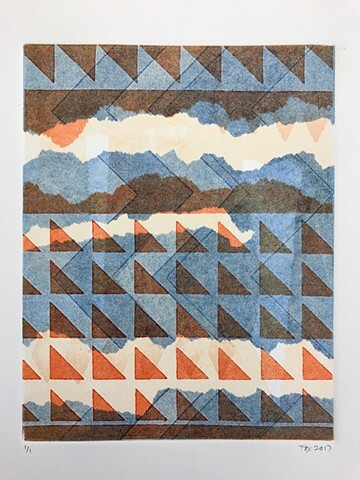 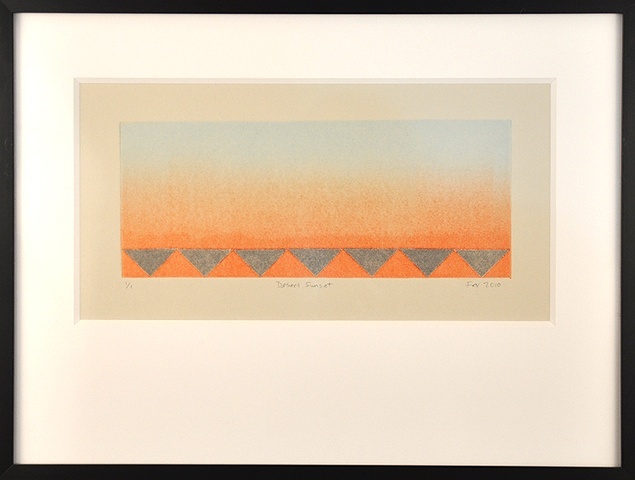 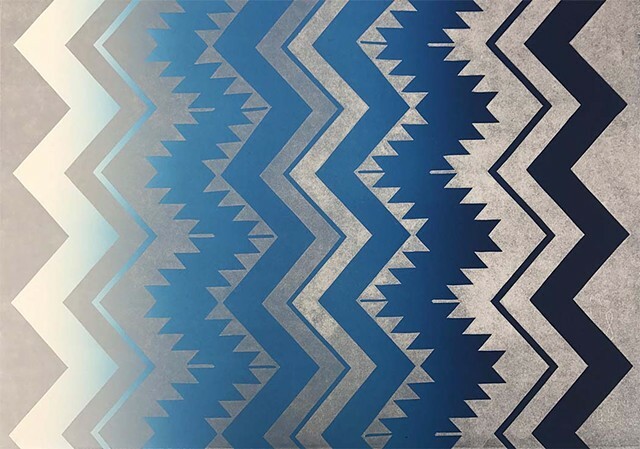 Monotype prints are where I first began experimenting with geometric designs inspired by Karuk basketry patterns. 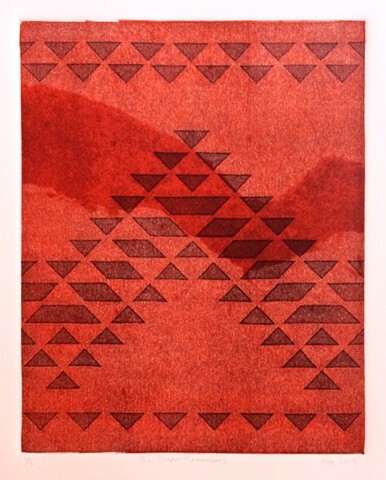 Printmaking has been my most consistent medium over time. 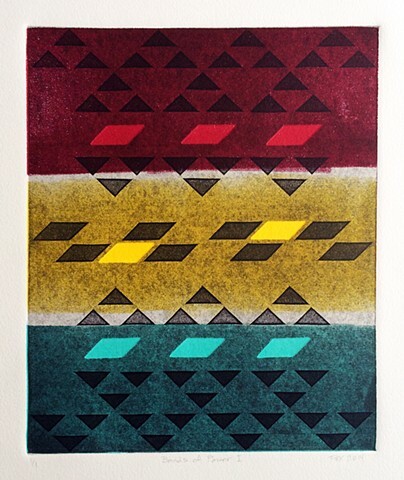 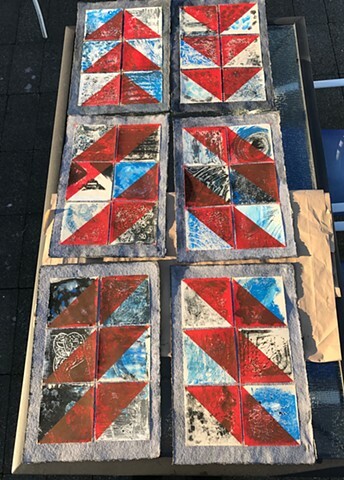 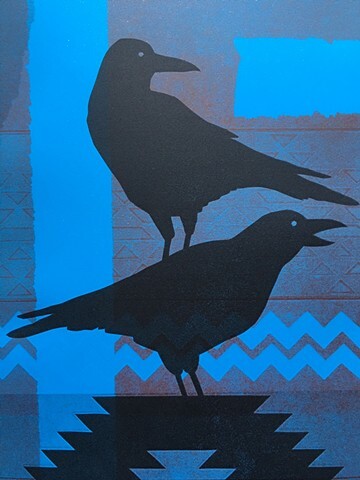 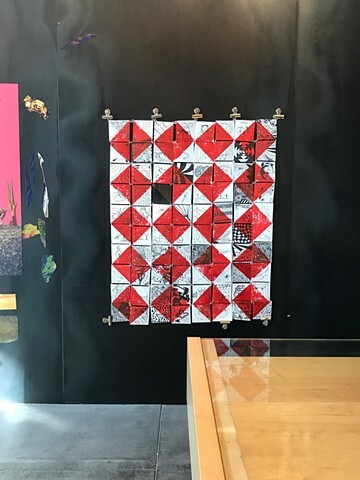 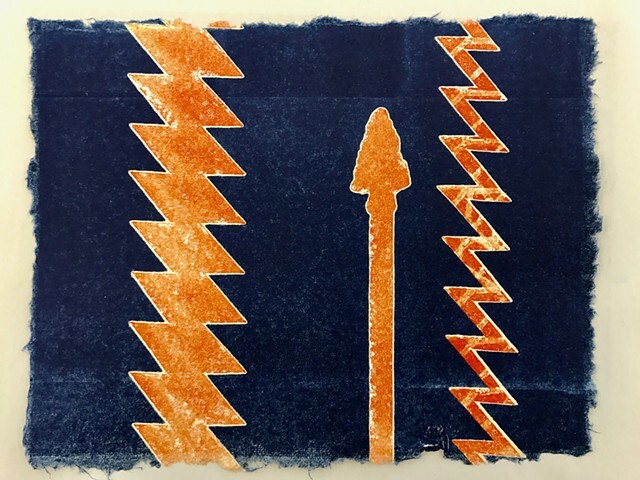 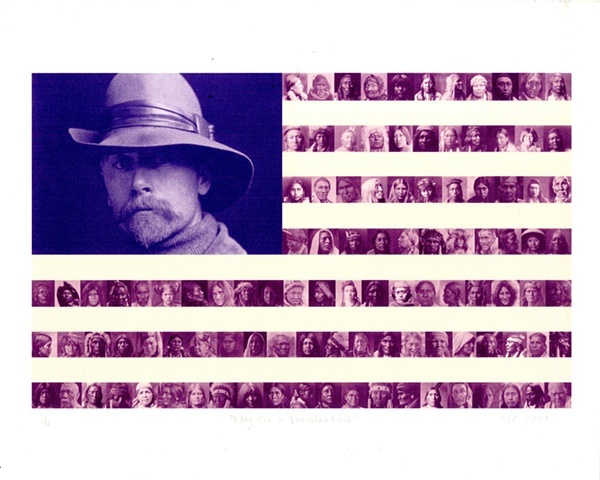 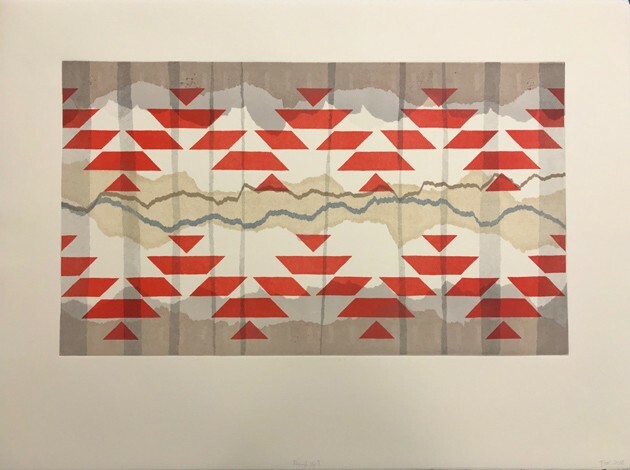 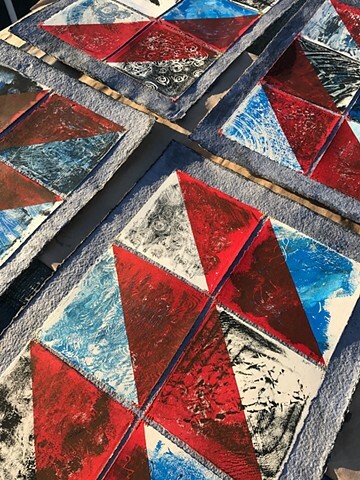 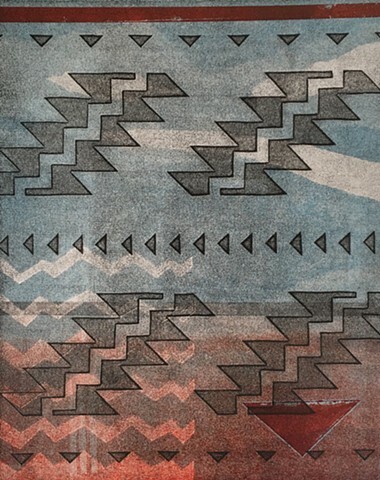 The majority of my prints have been made during workshops at Crow's Shadow Institute on the Confederated Tribes of the Umatilla Indian Reservation near Pendleton, Oregon. 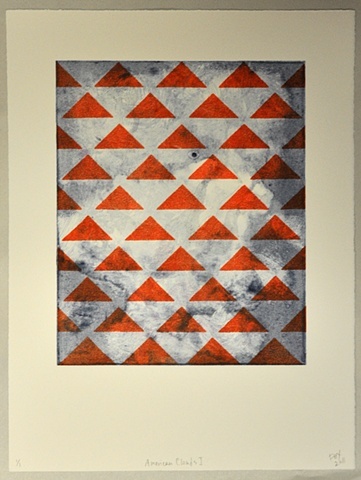 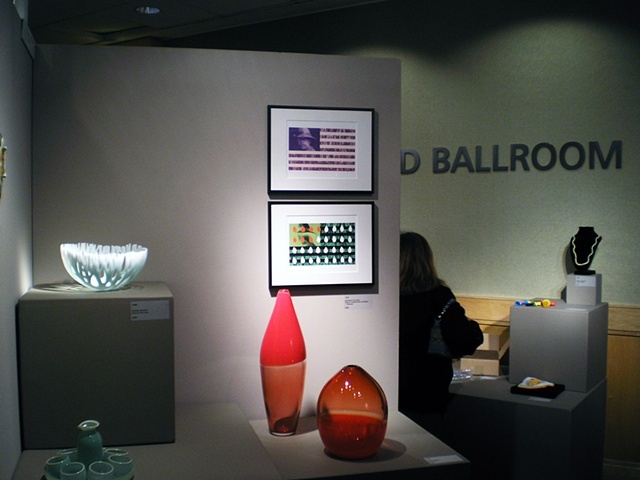 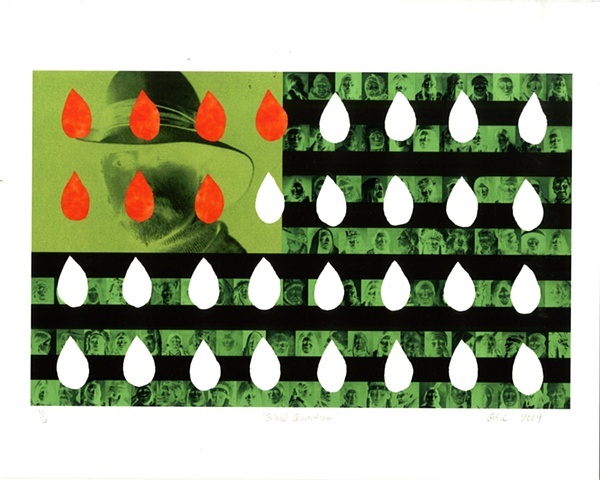 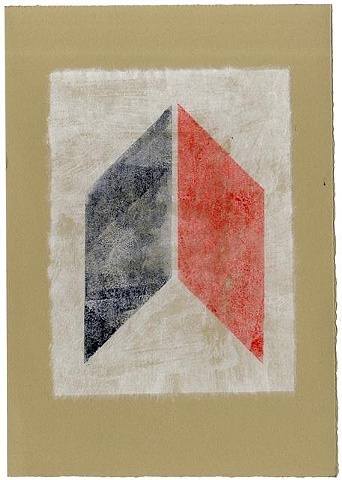 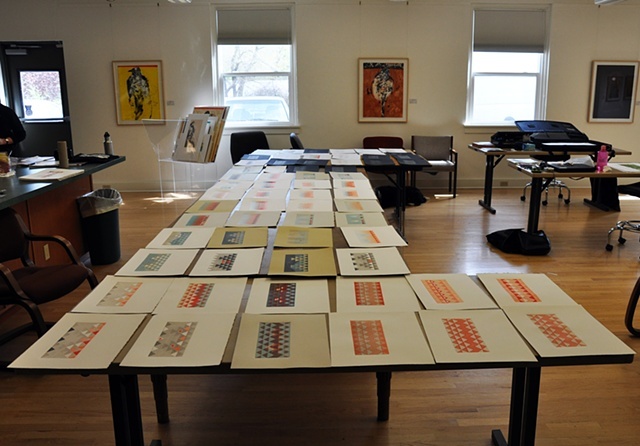 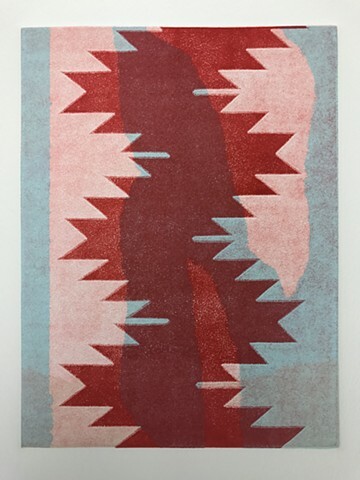 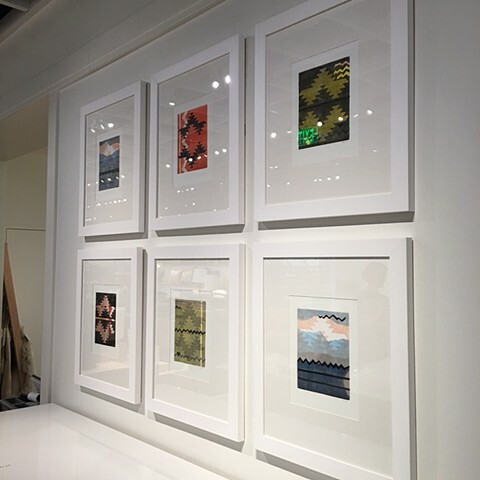 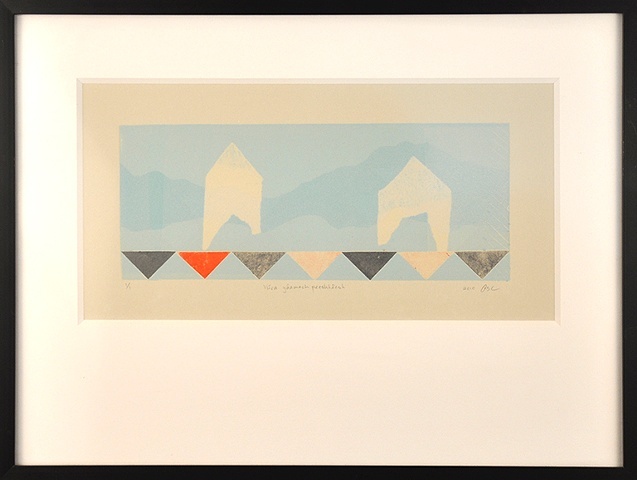 Due to the nature of monotype prints, each one is unique and an edition of 1/1.